NEWPORT NEWS, Va. (Sept. 1, 2017)—Huntington Ingalls Industries (NYSE:HII) announced today that its Newport News Shipbuilding division has received a $2.8 billion contract to execute the refueling and complex overhaul (RCOH) of the nuclear-powered aircraft carrier USS George Washington (CVN 73). 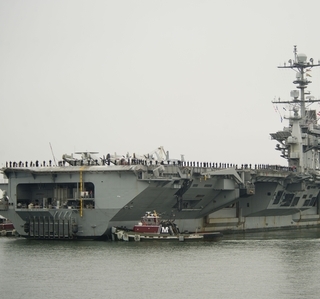 The RCOH represents 35 percent of all maintenance and modernization in an aircraft carrier's 50-year service life. 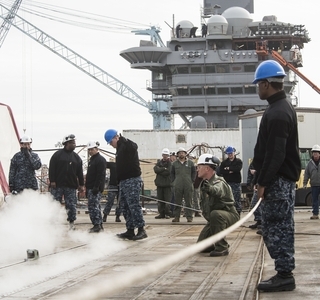 USS George Washington’s RCOH will include the refueling of the ship’s reactors, as well as extensive modernization work to more than 2,300 compartments, 600 tanks and hundreds of systems. In addition, major upgrades will be made to the flight deck, catapults, combat systems and the island. Work will begin immediately and continue through August 2021. 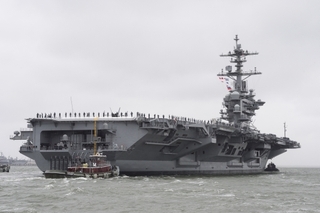 After the RCOH, USS George Washington will be one of the most modern and technologically advanced Nimitz-class aircraft carriers in the fleet and will continue to be a vital part of the nation’s defense. 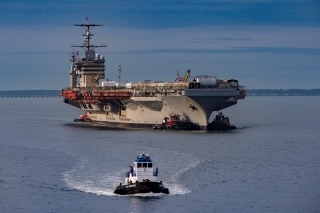 The aircraft carrier arrived at Newport News on Aug. 4 under a planning contract. USS George Washington is the sixth Nimitz-class carrier to undergo this major life-cycle milestone. More than 4,000 employees will support the execution effort.